The Scottish League Cup will return to having a pre-Christmas final starting from the 2016/17 season. The SPFL have announced a Sunday 27 November date for the final. Next season’s competition will also see the re-introduction of group stages along with bonus points for penalty shoot-out victories. Scotland’s secondary cup expanded the timescale of the competition after 1998, moving the semis and final until after the new year. The governing body has also confirmed a three-week winter break starting after the festive new year league fixtures. It will run until the Scottish Cup fourth round matches on January 21. The 2016/17 league season will conclude on May 6 for the lower divisions, with the Premiership concluding two weeks later. 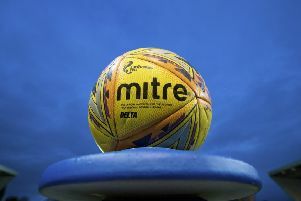 The Scottish Cup final will take place on May 27, before the campaign is concluded with the second leg of the Premiership play-off final the following day.